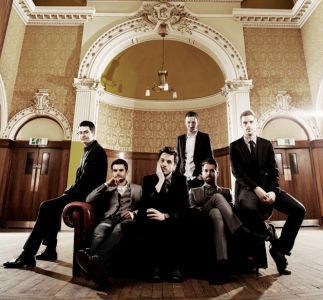 An exciting lineup of Scottish bands including Dave Arcari, Fatherson, Hector Bizerk, Holy Esque, Roddy Hart & The Lonesome Fire (pictured), The Twilight Sad and United Fruit are to perform at South by South West (SXSW) Music Festival, Austin Texas in March 2015, with support from Creative Scotland. Running from Tuesday 17 to Sunday 22 March, 2015, SXSW Music Festival is recognised as the world’s most prestigious international showcase for contemporary music and one of the most important events in the music industry calendar. South by Southwest offers a unique range of business opportunities for those working in the music industry. Now in its 29th year, SXSW Music Festival 2015 will see performances from over 2,200 regional, national and international acts on over 100 stages. The Scottish acts will be performing to thousands of industry representatives and fans at a number of showcases during the festival including Showcasing Scotland at SXSW 2015, presented by Creative Scotland at the British Music Embassy. The Showcasing Scotland concert provides a spotlight for Scotland’s presence at SXSW, attracting industry professionals and music lovers. Dates and further details to be announced shortly. To keep up to date with latest news, follow @creativescots, @scotsxsw and #scotsxsw. “The quality and diversity on show from the Scottish acts at SXSW is, once again, incredible. There’s a reason the Scottish Showcase is always one of the most anticipated events of the entire week in Austin; Scotland keeps managing to produce original, exciting music, with a unique Scottish identity. Showcasing acts are selected on the basis that they are already well established in both Scotland and the rest of the UK, have enjoyed US or international success and have a clear plan in place to seize the opportunities that SXSW presents. Artists and bands can only apply to Creative Scotland for support to attend the festival if they have already applied directly to SXSW to appear at the festival. The annual SXSW event includes film and interactive conferences and festivals as well. For more information about South by Southwest visit www.sxsw.com. Follow the festival @sxsw and facebook.com/SXSWFestival. Creative Scotland is the national development agency for the arts, screen and creative industries. Follow us @scotsxsw and facebook.com/scotsxsw. Slide guitarist and songwriter Dave Arcari’s latest album ‘Whisky in my Blood’ was released on Finnish record label Blue North in March 2013. Arcari’s festival appearances include Glastonbury (UK); Peer Festival (Belgium); Moulin Blues (Netherlands); BluesAlive (Czech Republic & Poland shows); The Great British R&B Festival; and Augustibluus & ViruFolk (Estonia). He has also played industry showcases at the North by North East (NxNE) music festival in Toronto, Canada and he was a finalist the UK Indy Music Awards reaching the top four in his category (best male solo artist). Arcari’s second US tour in summer 2014 was an overwhelming success and the foundations were laid for future tours across the US. 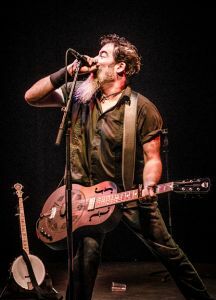 With more than 100 UK dates a year plus regular shows in Finland, Estonia, France, Germany, Belgium, Poland and Canada, Arcari is one of the hardest gigging live artists on the circuit. A series of shows with folks including Steve Earle, Alabama 3, Seasick Steve, Toby Keith and Jon Spencer along with his relentless UK and European tour schedule have established Arcari as a formidable international solo performer who is fast building a media reputation. Fatherson are an alternative-rock band from Glasgow. Having formed in 2010 in the town of Kilmarnock, they have been making waves in the Scottish music scene through support dates with acts including Frightened Rabbit, Panic at the Disco, Twin Atlantic, Idlewild and Feeder as well as numerous festival shows. 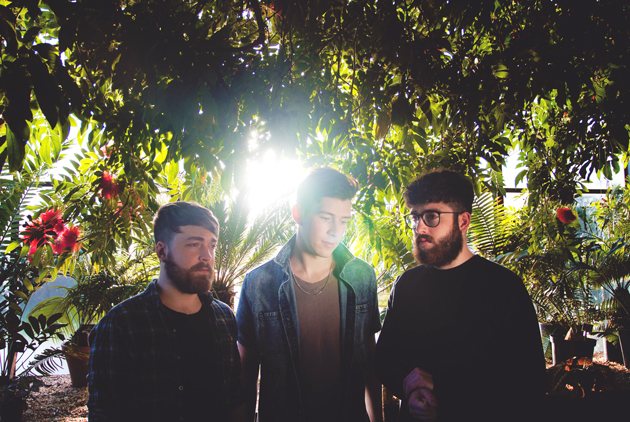 In April 2014 Fatherson released their debut album 'I Am An Island' reaching number 22 in the UK independent charts, and 11 in the Scottish charts. The recording of the album was supported by Creative Scotland. The band have enjoyed strong support from some of the UK's most established media outlets including Kerrang!, Rock Sound and Clash as well as airplay from major radios stations including BBC Radio 1 (Zane Lowe, Greg James, Huw Stephens), BBC Scotland, and XFM. Marc Strain of Fatherson said: "We're really looking forward to heading to America for SXSW. It’s something we've wanted to do for a while and it seems like the ideal time. We've been working on new material and looking at building on the success of our debut album. With a release in mainland Europe planned and now we're hoping to expand into America." 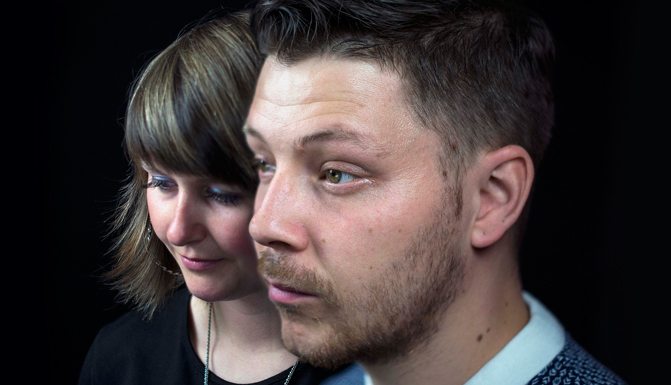 Hector Bizerk is an experimental hip-hop group comprising Audrey Tait (Drummer/producer), Louie (Emcee), Fraser Sneddon (Bassist) and David Calder (Synth/Percussion). Hector Bizerk have established a reputation as an accomplished festival band having played at almost every Scottish festival including T In The Park and a headline slot at Wickerman. The band have toured extensively in UK and Ireland and played a mini tour in the United States last year including a show at The Webster Hall in New York City. ‘Album Nobody Seen Nothing’ was short listed for Scottish Album of The Year in 2014. The follow up series of experimental EPs has received widespread acclaim and propelled the band's reputation further having received two five star reviews of their new short film ‘The Bird That Never Flew’ which features Scotland's Makar Liz Lochhead. The band have shared a stage with Wu Tang Clan, Alt-J, Public Enemy, The Libertines, Immortal Technique and Jurassic 5 among other support slots. In January 2015, Hector Bizerk were one of The Sun's Six Of The Best - a round-up of acts being tipped for big things in the next 12 months. Holy Esque was formed in 2011 by four young Glaswegians: vocalist and guitarist Pat Hynes, Keir Reid on Keyboard, Guitarist Hugo McGinley and drummer Ralph McClure. 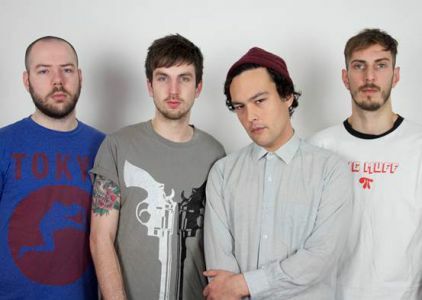 Following the release of their self-titled debut EP, Holy Esque went on to tour across Europe with The Raveonettes, while 2013 then saw the release of the single 'St' and appearances at Glastonbury Festival and SXSW. Support shows with Haim & Augustines supported single ‘Silences’ which was featured on Spotify’s playlist ‘Best Songs of 2014 You Haven’t Heard…Yet’. The band received great support from US radio with Silences landing tenth spot on specialty radio chart and 45th most played track on John Richards KEXP show. Early 2015 sees the boys putting the final touches to a brand new EP due for release in April. Pat Hynes of Holy Esque said: "Another great opportunity to perform to an American audience and build on what we've achieved stateside over the last two years". Roddy Hart & The Lonesome Fire are made up of Roddy Hart (vocals, guitars, piano), Scott Clark (bass, vocals), Scott Mackay (drums), John Martin (electric guitars, vocals), Geoff Martyn (piano, organ, vocals) and Gordon Turner (electric guitars, keys, vocals). Their first album ‘Roddy Hart & The Lonesome Fire’ was produced by Danton Supple (Morrissey, Patti Smith) and released on boutique Scottish label Middle of Nowhere Recordings in late 2013. It soon resulted in an invitation to make their American Network TV Debut on The Late Late Show with Craig Ferguson, which proved so popular it led to a rare week-long residency on the show playing to a combined audience of over 13 million people. Their album was subsequently nominated for the Scottish Album of The Year (SAY) Award – making the top 20 best records of the year – and they performed at the opening party of the Commonwealth Games on Glasgow Green in the summer. The year finished with a unique sold out performance at Paisley Abbey accompanied by the Royal Scottish National Orchestra, and a nomination for Best Music at the Spirit of Scotland Awards. Roddy Hart said of performing at the festival: "SXSW is an internationally recognised music platform that we are thrilled to be part of playing in 2015. We are excited to be alongside so many Scottish bands travelling to Austin to perform in front of not only key industry figures, but also music fans from the world over. We hope it helps us expand our fan base beyond the UK, and gives us the opportunity to play more shows across the USA." The Twilight Sad are a Scottish post-punk indie rock band, comprising James Graham (vocals), Andy MacFarlane (guitar), and Mark Devine (drums). Forming in late 2003, the band played a couple of early shows at Glasgow’s 13th Note. The bands are currently signed to Fat Cat Records and have released four full-length albums, as well as several EPs and singles. Their fourth album, entitled ‘Nobody Wants to Be Here and Nobody Wants to Leave’, was released in late October 2014 to universally positive reviews. The Twilight Sad have played with bands such as Snow Patrol, Mogwai, Idlewild, Smashing Pumpkins, Errors, Frightened Rabbit, Micah P Hinson. 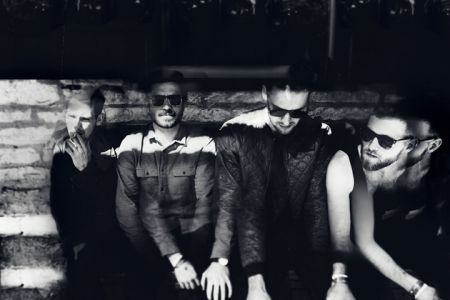 They have performed at festivals such as Pitchfork, End Of The Road, Latitude, T In The Park & Roskilde, and venues such as O2, Union Chapel & The Scala, as well as many more. On performing at SXSW 2015 James Graham of The Twilight Sad said: "We are really looking forward to playing SXSW again, we believe we have produced an album that we are all very proud of and the festival gives us the opportunity to promote it to the worlds media, all of whom have their eyes on Texas at that time of the year. We hope it can open doors to other territories where we have yet to make it to and it also gives us the chance to talk about the other bands and artists who we respect and are fans of from Scotland." United Fruit are an alternative rock band from Glasgow, Scotland, comprised of members, Iskandar Stewart, Stuart Galbraith, Marco Panagopoulos and Dean Inglis who are known for fusing noisy fast paced discordant post punk, catchy euphoric melodies and crunching riffs to create a sonic assault that leaves the listener slack jawed and hungering for more. The band formed in 2009 after meeting at a house party gig and have since released an E.P and album to rave reviews including a cover feature in Scotlands arts magazine "The Skinny", with another album finished and ready to be released in Autumn 2015. 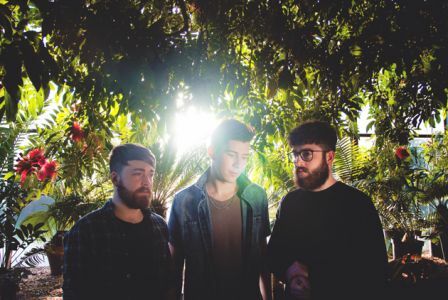 They have had plays on BBC Introducing as well as a live session, BBC Radio 1 Review Show, BBC Radio 1 Rock show, XFM, Capitol FM and BBC Radio Scotland which they also done a live session for. The band have toured the U.K and Europe over 5 times and have played festivals such as T In The Park, Wickerman, Brew At The Bog, Stag And Dagger and have supported bands such as Dananananaykroyd, Twin Atlantic, And So I watch You From Afar, Die Die Die!, The Twilight Sad and Maps And Atlases.